All 4 players who make it to this round are seeded in next season's Code S.
Five years of endless war, of skirmishes and battles, of shifting tides and fickle blessings. Five years of gains and losses across a war-torn nation, reduced to little more than churned mud and shed blood. Yet here he stands, in the same spot overlooking the same valley, ready to make it five years and a month. Not all are so fortunate. High atop the ridge, he can still taste the smoke from the wreckage-strewn valley. Only a day ago those charnel heaps were proud armies under famed generals. He frowns at the nearest fallen standard. The Man of Iron had led the final charge, they said, a desperate, doomed attempt to break free of the slaughter field. Such was the fate of the forsaken. He squints at what looks like the Sun’s sigil, but the bloody rag of a banner could have been anything. The gods know there are plenty to choose from. Delayed by a petty trap, he’d arrived at this familiar battleground just as dusk turned to night. Too late to do anything except make camp on the ruins of yesteryear. To rally the stragglers and hear out their grim tales of disaster. Listening painted him an eerily reminiscent picture. By all accounts the enemy was in earnest–nine full armies shrouded in a blessed nimbus. Dawn lights tawdry standards in the smoke, staking out each of their chieftain’s conquests. Psychopaths and Assassins and would-be Kingslayers abound. And over all of them, the mark of the Deformed Avatar. In his youth he would have charged down there, filled with righteous fury, hurling his army at the enemy lines until they broke or he did. Five years ago, he’d done exactly that, and reaped a bloody toll in the doing. For a single glorious moment he’d outshone the gods themselves. But in the end, it was not enough. In the end, he’d been forced to accept that fury alone was no match for divinity. Now he is older. Wiser. Smarter. Fury has its time and place, but so too does patience. And discipline. And deception. Five years is time enough to cross the span of heaven and earth. To make oneself anew. To strive, to seek, to find, and not to yield. Now he wears the thrice-forged crown of the ancient homeland. He is king, and this is his kingdom. And even the gods cannot deny that. I'm outta the loop. how's classic been performing vT lately? That is a really good question, since he didn't need to qualify for super tournament, wasn't in IEM or WESG and didn't play a single terran on his way to this finals do we even know? Not really up to speed on the online tournaments but as the big ones go we have nothing to go on for the entirety of 2019 I think? Really hope for great games, going to cheer for Maru but hope it goes the full distance to game seven! On Sunday. Maru is gonna take an easy 4-0 or 4-1. I'm not expecting great games, but perhaps comically entertaining ones. Classic 4-0 Maru let's go! It's not like Maru can't lose a single TvP in preparation format; he never did until now(and I doubt he will), still I hope Classic's extra motivation plays a role in this match. The idea the Maru relies on having time to prepare is really dumb, but it is of course a lie that people trying to promote foreigners and WCS events will continue to perpetuate (so no point in engaging with it). Stop being so obsessed with stupid statistics and narratives and actually watch Maru play... his godlikeness is not because of his preparation, its his ridiculous intuition and mechanics. In a recent interview, Maru said that the reason he didn't go far in IEM was because of his mental being bad - nothing to do with preparation. But no, armchair players would rather concoct their own crazy theories than listen to what Maru says. Classic 4 - 3 Maru, and this could be even more one sided against Maru - Classic's preperation should be just too good. Well it's more then he also underperformed at WESG... and Blizzcon... and Super Tournament... and GSLvsTW.. and the other Super Tournament. Whatever the reason clearly there something there, he's 4/4 getting to the final in GSL and 1/8 in weekender since the start of last year, so there must be something. Still I think he beat Classic, his tvp seems unbeatable right now. While it's true that Maru has stellar mechanics, the fact he doesn't do that well when he has no time to prepare simply is a fact; just compare his results in Code S to the one he has in weekenders. I hope you are right and that Classic is even better at preparing, Maru seems terribly scary in TvP(in Code S matches, while he is kind of weak to Protoss in other environments). How peopel can say, Maru's mechanics are top noch and then also aknowledge that he relies in preparation? I know he does bad in weekenders but arent weekenders the ones that rely tthe more on mechanics? 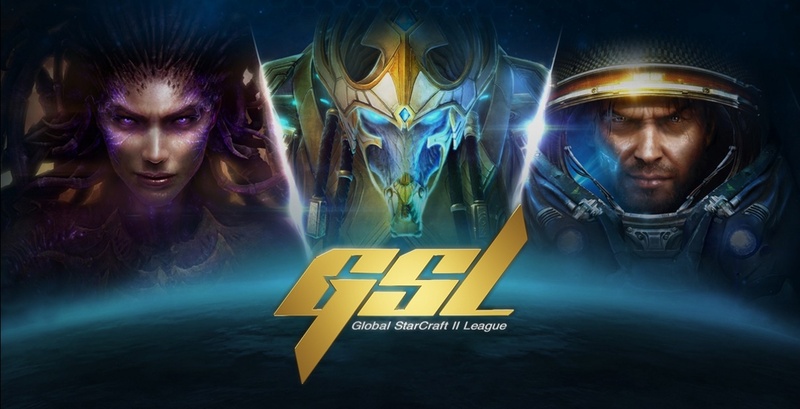 Maru only under performed in weekend tournaments relative to his performance in GSL. 99% of players would have loved to have Maru's weekend tournament performance last year. Pretty much everyone besides Serral and Rogue did worse in weekenders last year. He went the entirety of last year without ever getting eliminated before ro8 in any tournament. He barely lost to Rogue at IEM in a super close bo5 and then besides that he only got eliminated in a variety of TvPs against the absolute best protoss players. Maru's weakness in weekend tournaments is vastly overstated and the weakness has barely anything to do with prep factor. It more has to do with him using ST/GSL vs The World as breaks in his practice regimen and for other tournaments jet lag and travel conditions. Well, if you look at Maru's games it's pretty clear his micro and macro are very good, preparation time alone don't magically enhance mechanics. Still, he loses weekenders and he dominates Code S; it must be some psychological factor or the inability of reading series on the fly, I'm not sure.